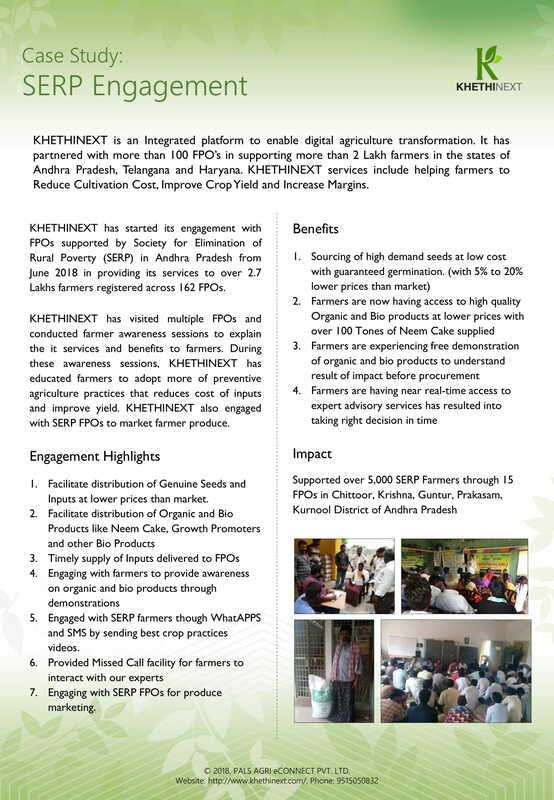 KHETHINEXT has started its engagement with FPOs supported by Society for Elimination of Rural Poverty (SERP) in Andhra Pradesh from June 2018 in providing its services to over 2.7 Lakhs farmers registered across 162 FPOs. 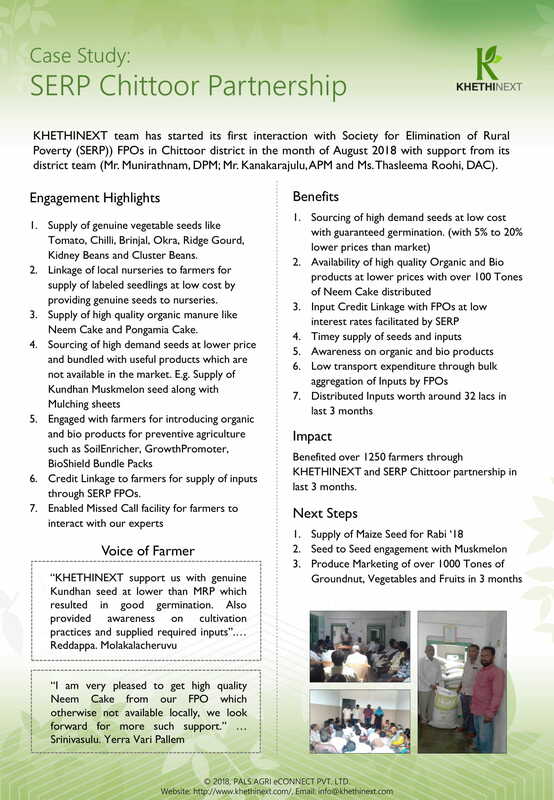 KHETHINEXT team has started its first interaction with Society for Elimination of Rural Poverty (SERP)) FPOs in Chittoor district in the month of August 2018 with support from its district team (Mr. Munirathnam, DPM; Mr. Kanakarajulu,APM and Ms.Thasleema Roohi, DAC). © 2017 PALS AGRI eCONNECT PRIVATE LTD. All Rights Reserved.